At Bloomskincare we complete a very thorough study and curation process that we like to call Guilt-Free Natural Ingredients Promise. We examine everything we introduce to the public to make sure that there are no harsh chemicals or any other ingredients that might cause any allergies or skin irritations. Before bringing any products to our online shop we have created focus groups, to help us test them to enable us to bring the best and least harmful compound products to our customers. Also all our products have never been tested on animals. 1. Peptides are a natural biological short chain of amino acid monomers linked by peptide (amide) bonds. Peptides are tiny fragments of proteins, on their own, peptides are made up of amino acids. When amino acids are combined in certain formations they create specific peptides, and when peptides are formed in a certain way, they make specific proteins. Proteins are the main building blocks of your skin, without peptides your skin will lose firmness, change in texture, show signs of aging and loose its elasticity it once had. Research has shown peptides can revitalize those fundamental building blocks, making your skin more resilient to many factors, they also help to encourage collagen production which minimizes wrinkles and gives your skin a more youthful appearance. 2. Niacinamide (Niacin) is often referred to as Vitamin B3, which is an essential nutrient when you want to build a well-functioning and healthy body. This nutrient is also beneficial and essential for your skin as it is your body, topical Niacinamide should be considered as a must have in your daily beauty regime, there are many benefits of using Niacinamide in your skin care routine, here are a few: boosts skins immunity, helps improve redness and blotchiness, regulates oily skin, helps repair damaging effects of UV exposure, minimises lines & wrinkles, improves the look of dull and tired skin, along with many other benefits. 3. Probiotics are defined as live micro-organisms that are believed to provide health benefits when consumed. The term probiotic is currently used to name ingested-micro-organisms associated with benefits for humans and animals. Probiotics activate the skin’s natural ability to repair itself and boost the natural process of restoring collagen, elastin, and healthy cells. Research shows that when topical pro-biotics are used in skincare they have a fantastic ability to help calm skin by using its good bacteria to help cells flourish, soothing inflammation, and help rebuild the skins eco-system to give you beautiful, healthy, glowing skin. 4. 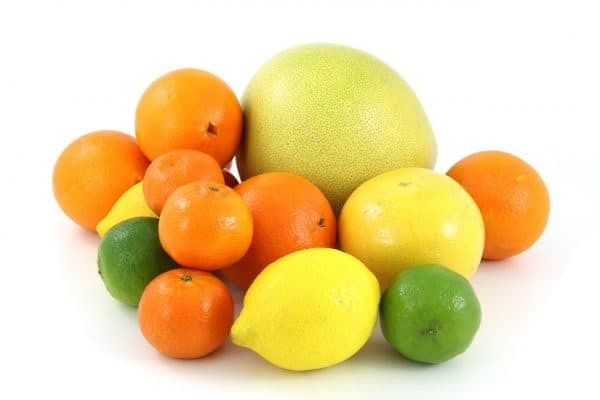 Vitamin C – The antioxidant properties of vitamin C (ascorbic acid) and its role in collagen synthesis makes vitamin C a vital molecule for skin health. Dietary and topical ascorbic acid have beneficial effects on the skin cells, and some studies have shown that vitamin C may help prevent and treat ultraviolet (UV)-induced damage. Vitamin C creates a brighter complexion and evens out the skin tone, while diminishing the appearance of fine lines and wrinkles. There are many benefits of Vitamin C when added to your daily routine, it provides a wide range of benefits, shielding skin from the visible impacts of pollution, significantly improving hydration, and keeping your skin looking healthy and younger, longer! 5. Hyaluronic Acid is a lubricating, clear substance that is produced naturally produced within the body, it has many benefits for your skin like helping to retain collagen, increasing moisture, providing elasticity & flexibility which overtime works by replenishing skin to help enhance a healthy look and feel. As we age, our skin loses the ability to retain and preserve moisture, Hyaluronic acid revitalizes the skins outer layers helping them to stay looking and feeling softer, smoother, and glowing, hydrating to instantly improve the appearance of fine lines & wrinkles. 6. AHA’s and BHA’s – AHA(alpha-hydroxyl) & BHA(beta-hydroxyl). AHA acids are well known to help in the reduction of wrinkles and fine lines, as well as soften strong defining lines to help improve the overall look & feel of the skin. AHA’s also help to increases the production of collagen, enabling it to leave skin looking and feeling tighter. BHA acids are great for their antiseptic effect on the skin preventing bacteria growth, they also have an anti-inflammatory effect. BHA’ also work as an exfoliant, they cause the cells of the epidermis (the outermost layer of the skin) to become weak and flaky, allowing the dead skin cells to scrub off, making room for the regrowth of new skin. Beta hydroxy acid is reported to help improve wrinkles, roughness, and pigmentation of damaged skin after at least six months of daily application. 7. Galactomyces is the extract of yeast fungus obtained by the fermentation process. Yeast fungus contains large amounts of vitamins B and P, as well as many other healthy skin essential elements, such as calcium, iron, zinc, iodine, folic acid. Galactomyces moisturises the skin, boosts immunity, and protects skin cells from exposure to UV rays. It helps to accelerates the synthesis of collagen and glycoproteins to help skin look and feel softer & tighter, has an amazing ability to improve the skin’s protective mechanisms. Please AVOID using Galactomyces products if you have a Malassezia infused skin condition such as dandruff and seborrheic dermatitis, the skin rash of tinea versicolor and other fungus infections. Please don’t forget about doing a 48 hours patch test and consult with your GP before using certain skincare ingredients if you are unsure. Charcoal is a lightweight black carbon and ash residue, it has been used for various health related issues, mainly to treat poisoning. Due to its amazing absorbing properties, it cleans up toxins from our stomach before it can get into the bloodstream. This is the same story behind the use of charcoal in beauty industry, it attracts dirt, oil and other molecules like a magnet, once you have used a charcoal treatment, these oils and dirt get washed away leaving your skin stronger and healthier. Sodium bicarbonate (Soda) is a refined, soluble, natural substance that is crystalline but often appears as a fine powder. This alkaline substance has antibacterial, antifungal, antiseptic and anti-inflammatory properties, by adding soda to your daily skincare routine, it will help clean, exfoliate and sooth your skin. Soda neutralises acids on the skin and help wash away excess oil and prevents sweat build up. When combined with water the soda will have a soothing and softening effect on the skin. It also has antiseptic and disinfectant properties that can be effective against skin irritation, and can even be used to treat mild sunburn to calm it down. Rose – this iconic & beautiful flower does wonders for the skin. Rose is also known for its remarkable health and beauty benefits. You can use rose water to treat acne along with many other skin conditions. Many Beauty products today are also embracing rose as an ingredient, listed on organic beauty products as rose water, rose distillate, rose essential oil or rosehip seed oil, these lovely rose essences do far more than just add their light scent to your products. This fragrant and beautiful flower helps rejuvenate and replenish skin. Discover how this amazing blossom can make your skin look and feel as velvety soft as a bed of roses. It has many amazing benefits and here are just a few: Antibacterial, Anti-inflammatory, Antioxidants, Moisturizing, Toning. Rosemary, the constructive properties in rosemary make it a beneficial ingredient for skin care. It contains a wide variety of nutrients such as iron, calcium, vitamins and antioxidants. It is effective for all skin types, rosemary rejuvenates, rehydrates and tones your skin. It helps to remove wrinkles, keeping it taut and healthy. Its amazing cell regeneration properties are effective in treating visible skin conditions by replacing the damaged tissue, reducing the appearance of scars and spots. Being rich in powerful antioxidants, rosemary helps to slow down the effect of ageing on the skin, It helps in tightening sagging and loose skin that appears over time, making it firmer and more elastic. Most importantly it stimulates biological activity and cell growth to reduce fine lines and wrinkles. Centella Asiatica is a herb found in Asia, It has wonderful anti-bacterial and anti-inflammatory tendencies. Therefore, this herb is perfect for use in skin care. This herb helps increase the blood supply to the affected area and helps to raise the antioxidant level, a rise in the antioxidant level promotes the production of fibroblasts. Fibroblasts help in synthesizing collagen, helping to diminish the appearance of skin imperfections such as scars, etc. on your skin. Centella Asiatica also acts as a toner for the skin, it tones and tightens the skin. This is the reason it is found in many of the anti-aging and skin firming creams these days. As this herb can help promote collagen production in human body, it can effectively help in improving the condition of aging skin, wrinkles and fine lines. 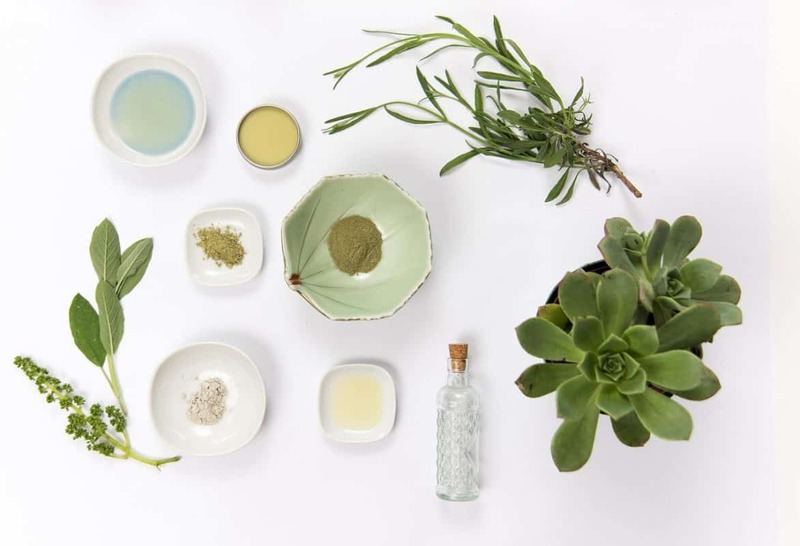 Because of Centella Asiatica’s ability to re-create the collagen supply in human body makes it an important main ingredient in most of the anti-aging formulas. Broccoli, like many other green veggies used as a natural ingredients in skincare can do wonders for your skin because of the presence of dietary fibre, vitamins, minerals and antioxidants. It has many amazing and wonderful properties and benefits for your skin, Broccoli is abundant with many antioxidants such as vitamins C and E. Vitamin C stimulates collagen production, which prevents skin from ageing, therefore helping to reduce the appearance or wrinkles and fine lines which help to keep your skin looking healthy. While Vitamin A protects your skin cell membranes by protecting your skin against harmful ultraviolet radiation damage. Broccoli contains a substance called glucoraphanin which gets converted into sulforaphane resulting in giving you healthy, glowing looking skin and this in turn helps also by promoting the repairing of skin damage from everyday environmental factors. Broccoli also contains beta carotene, vitamin E and vitamin B complex that impart a natural glow and keep your skin looking and feeling young. Mint is a fabulous herb when it comes to skin care. It is one of those ingredients that you will regularly find in various skin care products like moisturizers, cleansers, conditioners, shampoos and even lip balms! You may see mint written as some of these names ‘Mint’, ‘Mentha’, ‘Mentha piperita’ etc. Mint is especially great for skin that needs that little bit of extra TLC, If you are suffering from severe acne, using this simple ingredient can help you reduce the appearance or in some cases clears acne away naturally without any side effects. Mint leaves are great and work on most types of acne. 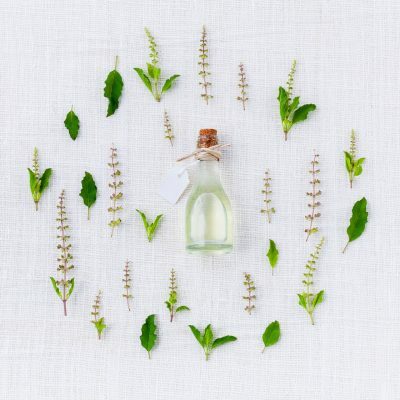 Not only is mint great for acne but it is great for many other skin conditions, this herb has a wonderful way of soothing and looking after your skin, without any side effects and with guaranteed results. Mint is known for its anti-inflammatory properties. Therefore, using mint juice on the skin can help soothe bites and other irritations. It also helps to soften and calm down dry or itchy skin. Mint leaves are such an excellent, natural source for the skin that this is one of the main reasons why it is extensively used in various skin care products. Rosehip can be very beneficial for skin. Also known as rosehip seed oil, this ingredient can help minimize the appearance of wrinkles and help improve the skins moisture levels. It is rich in Vitamin C which is a great Anti-Oxidant which helps to neutralize the effects of free radicals, whilst helping to protect the skin from signs of premature aging, wrinkles and dull skin. Rosehip is also has great anti-aging properties, it is known to be full of essential fatty acids which provide the skin with the hydration it needs to manage the signs of premature ageing. leaving your skin glowing and radiant. Please contact us if you want to find out more or get an advice on other natural ingredients we use. This Bloomskincare blog is about modern skincare industry. We will tell you about trends, interesting facts, reveal truth about ingredients. We do believe you'll find a lot of useful information here!